Roman Catholic High School in Philadephia has announced that it has hired Rick Prete as its new head football coach. Prete is a former President of the Conshohocken Youth Football Association (the Conshohocken Bears) and coached two Bears teams to league championships. 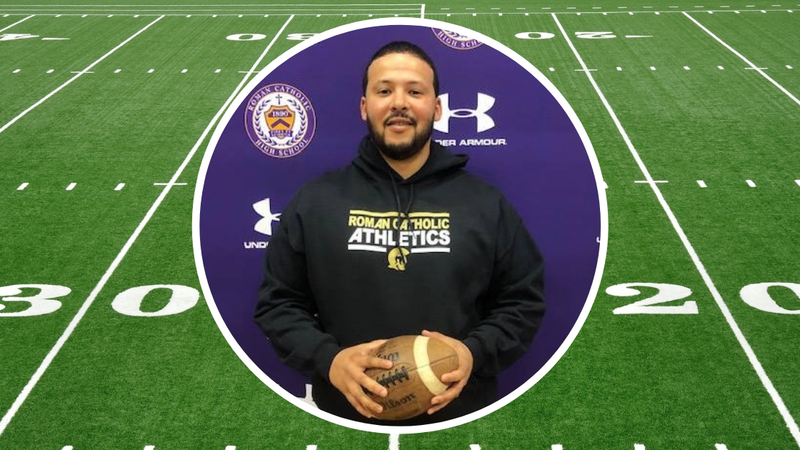 Following an extensive search that included many strong candidates, the administration is excited to announce the hiring of Rick Prete as the new head football coach for Roman Catholic High School. Prete comes to Roman with a wealth of coaching experience, most recently as the offensive coordinator at Imhotep Charter. In previous years, Prete held coaching positions at Malvern Preparatory School, Plymouth Whitemarsh High School, and served as both a head coach and president of the Conshohocken Youth Football Association. Prete is a proven leader of young men as he is the founder of the Athletic Prep Academy which provides free programming to urban communities via athletics to over 250 athletes annually. The academy not only addresses football training needs but also provides guidance with college prep, mock job interviews, and etiquette classes preparing young men for success. Prete is also an Army veteran, having served our country in the United States Army Infantry Corps for 12 years. Coach Prete’s strong faith in God, passion for football, and his structure of building young men of integrity on the football field and for life has the Roman community excited for the future of their football program.